Times are tough, but we all still want to keep up with the Joneses right? Well here's a solution that will agree with your budget and your ego!! 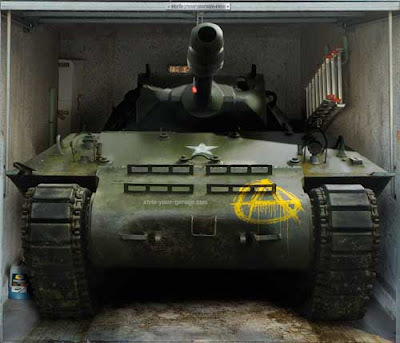 Go ahead and let your neighbors think that you have an army tanker in your garage. Or that you're harboring a giant alligator! It's all in good fun. Danke Germany, for another great invention.